I’ll admit it – I have a spending problem. I tend to be an emotional shopper as I spend money when I’m sad, happy or bored. However, in the last few months I’ve really been trying to watch my spending (ok I know I’ve just shown you my sales haul!). I’ve experienced a few changes recently that has meant that I have no choice BUT to spend less. This year I really want to focus on a being on a low-buy instead of a no-buy. I’ve tried the no-buy route before and it just doesn’t work for me. But a low-buy is something I can definitely commit to. So I thought I’d share some ways I’m going to try and change my quite frankly ridiculous spending habits. Unsubscribe to email mailing lists – my main issue is that I’ve made myself over-exposed to the temptation of buying. I don’t tend to go to the shops much, but my emails are forever filled with ‘buy me’ ads. I signed up to so many retail emails that I’d have thousands of unread. So the other day I unsubscribed from them all. Avoid endless browsing on websites– I was one to browse on beauty websites up to 10 times a day. That browsing would then convert into me placing items in my basket then hitting checkout. I’ve now reduced my browsing sessions significantly to a couple of times a week which has meant I’ve not purchased much. Pay little attention to social media – for me browsing on Instagram, Facebook and Twitter always led to me wanting to purchase SOMETHING. So now I’ve not only reduced my mindless browsing on these platforms, but I’ve unfollowed a lot of brands. My thing is if I don’t see it then I won’t want it. Simple! Have conversations that won’t enable you to spend more – as a blogger I used to find that my topic of conversation was always about the latest product release. I’d always share the latest product and message other blogger friends about it too. We’d then enable each other into spending more. In more recent times this has changed significantly. I’ve found that my friendships have changed and so has my topic of conversations too which is great. Pay with cash whenever possible – I’ve never been a person to love to carry cash around with me. I’d always prefer to have my card at hand and tap away on the machine or use it to spend online. I’ve found that one technique that’s helped me in the past has been to only use cash. I’ve always felt that using cash has meant I normally want to spend less. Hide your credit cards – this is something I’ve done before that has definitely worked for me. I’ve ‘hidden’ my credit card by giving it to my mum to keep for me in her drawer. This meant I physically couldn’t use it as it was literally in a different house. Other methods I’ve heard have been to freeze your card in water, or the extreme method is to just cut up the credit cards. I no longer have credit cards personally so the temptation to use them is completely gone. Plan your spending – before the new week starts why not try and plan your spending for the following week. This could include your lunch, coffee, travel, social etc spending. In your planning, you could also incorporate treating yourself. Yes – plan for your treats then you (hopefully) won’t just spending ridiculously. I like to plan a treat buy once a month. Also try joining a cash back scheme if you are purchasing online – I love to use Top Cashback. 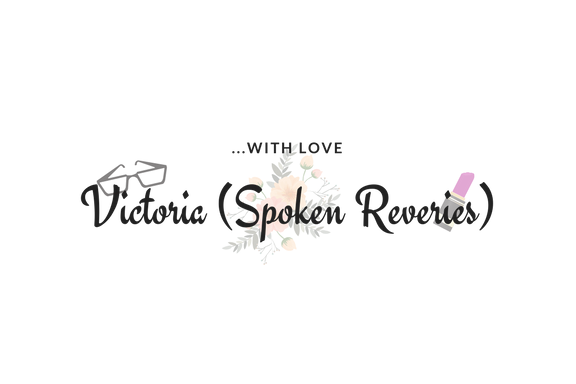 Shop your stash – as a beauty lover I love to buy new makeup. I’d be buying makeup, skincare and perfumes everyday if could. I even love to buy books just as much (maybe even more!). As I’m preparing to move house, I’ve realised that I have a lot of stuff. I’ve been discovering many products that have been unused and it’s been like a new shopping trip each time! Shopping my stash has actually reduced my want to buy new things, as I realise just how much I don’t use. Sell your items – the more I shop my stash, the more I see what I haven’t used. If it’s possible to sell items you haven’t used then do so! That way you’ll not only reduce your clutter, but you’ll also make some money back! Swap your items – there are plenty of places to swap items instead of getting rid of them. Swaps can be great to get new items to your stash without spending. If you would rather just get rid of your items, then charity shops are great. Let me know what your tips are for spending less below! Having spent the last few years living on a strict budget I am very skilled at avoiding anything that makes me spendy. The things I do before I take out my cash is think about whether I can afford it, whether I actually need it and if I can get it cheaper elsewhere. By the time I have done that I am talked myself out of buying whatever it is. I’m queen of bargain hunting! I’m always looking for ways at getting things at their cheapest price. Definitely talking yourself out of it is a great way too! It’s so hard to avoid the temptation to buy in the age of the internet – mindless browsing has a lot to answer for! I love the Shop you Stash tip – I know I have so much makeup, but I’m so guilty of only wearing the same bits over and over again. Definitely shop your stash! I’m also trying to use up all of my products too! Timely post! Boo to January! I’m going to try using cash more instead of cards and I’m sure I have some things to sell. I find it hard to stay away from social media though! Instagram will be the death of me! Lol! Glad it was useful! I’ve become better at watching what I’m spending since moving to Portugal. I use cash more frequently and often stop myself when online. I tend to buy more for my son these days than myself. I just need to stop my hubby’s spending sprees! Lol! Watching other’s spending is even more difficult! Good luck! I used to be an emotional shopper as well but now I can’t spend money on clothes as I have rent to pay and bills. I agree that it is important to stay away from social media! Social media can definitely be an enabler! Great post.. I love the idea of low buy instead of no buy. Great tips. I don’t think I’m too bad at spending. My kids are my weakness though. Aww kids are fun to spend on! I love the tips here. Paying with cash does help. Paying little attention to social media is the most difficult one. I am so addicted :(. My greatness weakness is kids books. I’m no so bad on curbing my other spending habits, when when I see or hear about a good kids book all restraint goes out the window! Aww but books are great! Always on the look out for awesome money saving blog posts. I’m even going to try out the cash tip, I never EVER have cash on me and I am going to give it a go. Only too often have I overspent on my card, logged in to my bank expecting to see a lot more than is left. The biggest thing I did for my wallet was unsubscribing from marketing emails from my favourite retailers… it’s the damn free shipping promos that get me every time! It’s nice to not know when the sales are happening and getting tempted to buy cheap things just because. I did a major cull the other day. Best thing!